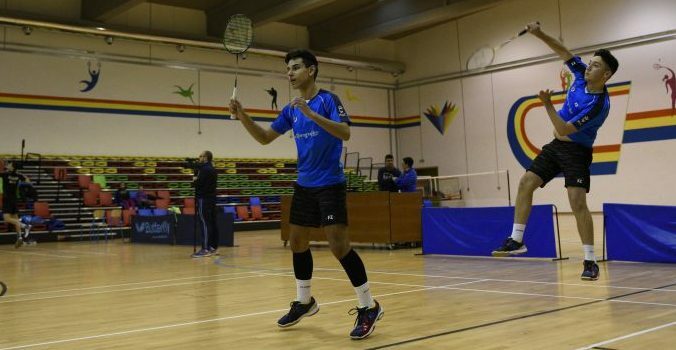 It turned out to be a difficult match this morning for Sam Cassar and Mark Abela in the second round of the Hellas Junior 2018 when they faced English pair James Lin and Brandon Zhi Hao Yap. After having a quite a positive day yesterday at the Hellas Junior 2018 with a win for Sam Cassar in the Men’s Singles and a win in doubles for Cassar/Abela today they faced the end of this tournament. The English pair went through to the quarter finals winning against Cassar/Abela 21-11, 21-8 and then beating the top seeds Slovenian Lesnicar/Lonzaric 21-9, 21-15 to confirm their strength. Well done to the good performances this week and we look forward for more!